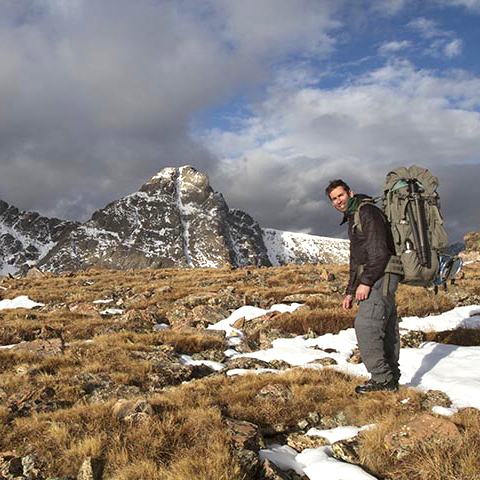 Matt on a recent trip into the Holy Cross Wilderness area for an autumn photo shoot. There seems to be much discussion on the subject of digital printing and its archival value. As far as my prints are concerned, as one would expect of any fine art photographer, I use only the best available materials with regard to optimizing both print longevity and beauty. In response to claims by companies and people in the field regarding archival value, I use Wilhelm Image Research. The consensus in the digital printing business is to use their research to set certain standards on print longevity. In recent years, significant strides have been made in this area. Under proper storage and lighting, prints can have over a hundred years of archive depending on the print, canvas and paper. I would suggest to those that have just purchased a piece of art (thank you very much for your support!) that you take the necessary steps to protect your investment. ONCE I HAVE CHOSEN the image it is drum scanned at 4000 dpi at 16 bits per channel. The file size is well over one and a half giga bytes of information (meaning, very large and very slow to work with). This insures, however, the integrity of all possible information in the 8X10 transparency. The massive amount of data enables me to print enormously large prints that hold incredible and accurate detail. Many of the images on my web site can be purchased either in an open category or as limited editions. Similar to the limited edition prints, open category pricing is based upon supply and demand. As the demand for a particular image goes up, the pricing tier for that image rises accordingly, thus preventing an overload in the market of any one image and insuring the quality of your investment even in the open category. If the category for an image in which you are interested is not specified, please contact me for additional information. Thank you for your interest in Matt Inden Photography. photography booth. I was wanting to order the print, Winter Aspens, Clean. Could you let me know the different sizes and prices that print comes in and what shipping usually runs.